Frequently the only interactions citizens have with the police are during traffic stops. No matter how good a driver you are, eventually you will be pulled over by the police. At some point, almost every off-duty and plain-clothed officer has also had this experience. As a result, we can benefit from many shared lessons about how to safely comply move past these encounters. Officers may stop people who are driving to ensure compliance with traffic laws and safety standards—such as medical and sobriety, having a valid driver’s license and insurance, and the fitness of the vehicle. They may also be investigating a crime. For good reason, the police consider these stops to be highly dangerous to themselves and the surrounding public. Historically, this is one of the most deadly situations officers face. Many officers and bystanders are killed and injured during so-called “routine” traffic stops. As a result, an extensive amount of training and recurrent training is devoted to safety and tactics in an around cars. Officers experience a huge sense of uncertainty and risk when stopping or approaching a car. They must approach a vehicle without first observing the behavior of the driver or any passengers. 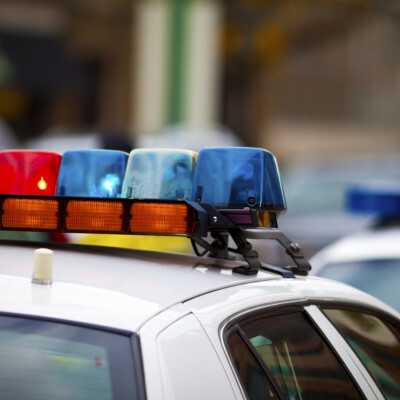 The officer never knows whether the driver has only committed a traffic violation—or is involved (with any passengers) in dangerous criminal activity. As a result, the police will be especially sensitive to how quickly you show compliance in pulling your car over. They also will carefully observe your (and your passengers’) hand and body movements and be looking for access to any objects that might appear to be a weapon. Remember: You and the police officer have a common goal. Get home safely. All of the general rules for a stop on the street also apply when stopped in your a car. This includes complying with police instructions, and remaining calm, polite and respectful. Do not argue. But there are additional steps that can help ensure safe encounters. Follow all directional commands by the police about where to go. As soon as possible, use your directional signals and emergency flashers. This will indicate your compliance and movement. As soon as it is safe, reduce your driving speed. This will also message your compliance. The longer it takes you to pull your car over, the more suspicious the officer becomes. Unless directed otherwise, pull your vehicle to the side of the road away from traffic (generally to the right side of the road), as soon as it is safely possible. When it is nighttime or dark outside - if possible, try to get to a well lit area. Turn on the lights inside the vehicle. If the officers are in an unmarked car, you are concerned about their actual identity—or otherwise fearful for your safety—keep your hazard lights on and slow down. This will indicate that you recognize the stop and intend to comply. If the officer approaches your car and you are still speaking to 911, politely explain the purpose of your call. If not speaking to 911, end any phone calls and turn off the radio as soon as possible, so you can hear any police instructions. Put the car (or motorcycle) in park and set the emergency brake. Turn off the engine and turn on the emergency flashers. Particularly at night, an officer may shine bright lights into the vehicle (sometimes directly into the rearview mirror) to gain visibility and control of the car. Even if uncomfortable, do not take any action in response. Always allow the officer to see inside the vehicle to be reassured that all is in order. Explain to all passengers that they should remain calm, respectful and compliant. They should make no sudden movements, keep their hands visible and open, follow your behavior, as well as the officers’ instructions. Showing respect will earn it. It will also increase the likelihood of the officer giving you the benefit of the doubt with respect to issuing a citation. Keep all seat belts buckled. If not wearing a seat belt, do not attempt to put it on. Do not open your door, leave your car or allow others to leave. The drivers’ window should be lowered to communicate with the officer. Motorcyclists should lift their visor. The driver should keep his/her hands on the steering wheel in plain view. Again, all passengers should keep their hands open and in plain view. No sudden or unexplained movements. To protect their own and the public’s safety, officers are trained to always watch a person’s hands. By keeping your hands on the wheel (and passengers keeping their hands in plain view and open), the officer will feel more comfortable and observe you as less of a threat. Particularly if your windows are tinted, offer to lower all windows. Wait for the officer to give you specific directions and follow them. When possible, maintain eye contact with the officer. Do so in a relaxed way, without appearing annoyed, upset or nervous. Let the officer know of any movements you must make to comply with these directions—including, reaching for the glove or other compartment. Advise the officer immediately if you are in possession of a weapon—even if you have a permit or it is legal. Also, immediately advise the office of any object (such as a toy) that might be used or mistaken for a weapon. Upon request, show the police your driver’s license, registration, and proof of insurance. As discussed, below, other than producing these documents, you are generally not required to answer any further questions or consent to a search of your vehicle or body. If you exercise your constitutional rights to remain silent and not consent to any search—do so politely. This may not stop the questioning or any search, but it will help protect your rights in court. If you are willing to consent to a search, you may ask to have a supervisor present. If an officer asks you to exit the vehicle, you should do so calmly and carefully, with no sudden movements. An officer may also ask the passengers to exit as well. If you or your passengers are smoking in the car, the officer may ask you to put out your cigarette. You should comply with this request. Cigarettes can be used as a weapon and the smoke may be interfering with the officer’s ability to safely see inside the car. Again, do so without any sudden movements and by informing the officer before you reach for any ashtray. Cigarettes, e-cigarettes, cigars, pipes, and other “smoking products” have been used to initiate a physical assault on officers in the past. It can also interfere with an officer's ability to see fully and make a determination about his and the public's safety. Additionally, many people are physically sensitive to smoke and the odor of these products. The use of these products should not be an excuse for escalating an otherwise peaceful meeting or car stop. Everyone should be willing to show a little respect and consideration for others by putting out the product for a few minutes so that everyone can attend to the business at hand and move safely on their way after it is concluded. A cigarette or other product can always be relit after the encounter. Comply with all requests for you or your passengers to discontinue the use of your cellphone. If you or your passengers want to use a device to record the interaction, explain that you wish to do so for the safety of everyone. Await consent and instructions. If the officer agrees, do so from a respectful distance, without any additional comments. Speak and behave in a compliant way. If the officer refuses, do not argue or go against the officer. If relevant, this point can be raised later in court. Drive away only when the officer gives permission. Do not drive without a valid license, registration, vehicle inspection or proof of insurance. Resolve or pay outstanding tickets and summonses. Do not drive under the influence of alcohol or drugs (illegal or prescribed) that might impair your ability to drive. Use a designated driver, take a taxi or completely sleep it off. Do not text and drive. If using a cell phone, always use a hands-free device. In the event of an accident, it is now routine for the police to subpoena cell phone and text records. Significant financial liability and criminal charges can result for failure to comply with these laws. Do not try to speed off or evade the police—or appear not to see their commands. Other police officers will quickly respond—even in remote areas. Car chases are among the most dangerous events—to the occupants, police, and innocent bystanders. Chases never end well. They result in additional injuries, deaths and criminal charges. Do not throw anything out the window - this could lead to the police believing (probable cause) that a crime is being committed. You also could be charged with another crime, such as distruction of evidence. No one should get out of the car (or off the motorcycle). Do not remove your seat belt — or attempt to put one on. No one should make any sudden movements that might be interpreted as hiding, reaching or searching for something. Do not argue with the police about the stop or any summons. Do not be rude or insulting. Do not argue. Do not try to intimidate the officer. Do not inform the officer about your profession, social stature, whom you know—or that you will make sure that the officer will lose their job or face charges. Do not lie to the officer. Do not attempt to offer the officer a bribe or anything of value. Do not refuse to sign a summons — it is only an admission of receipt, not guilt. Do not tear up, destroy or throw the summons away. Even after receiving a summons, do not drive away without the permission of the officer. Keep your license, registration and insurance documents up-to-date and together — and in an easily accessible place in the glove compartment or console. The more accessible your documents are, the less reason the officer will have to be concerned about your movements. The officers will ask you questions. While you have the general right to remain silent, you must provide your license, registration, insurance, and name, when asked. In some states drivers and passengers may also be required to answer other basic identifying questions involving names and addresses. Failing to present your license, registration, and proof of insurance can — and often will — result in arrest. By doing so, the officer will be aware that you are making a rational decision. If you only remain silent, the officer may assume you are suffering from a medical issue or under the influence of drugs or alcohol — which could be interpreted as a reason to detain and make further inquiries. The manner in which these types of questions are answered — or not answered—will often determine whether a summons is issued and whether the police feel they need to take any further action. If you choose to answer any questions, be truthful. Keep in mind that the officer will often already know the answer to any question asked of you. In certain cases, your car can be searched without a warrant. For example, if the officer sees illegal items or evidence of a possible crime. Do not resist or argue. There are many situations in which the police will pull someone over and ask — often casually — whether you would mind if they “take a look” inside your car or the trunk. You do not have to consent to a search of your car or yourself. Nonetheless, if the police have probable cause, a warrant of if you’ve been placed under arrest, they can search your car, whether you give your consent or not. Even if you haven’t consented, always comply and do not interfere with a search. The issue of legality can be reserved for later—possibly in court. The police may believe they have reason to seize your vehicle as evidence of a crime because of outstanding violations or due to your inability to drive. If this occurs, remain compliant with all instructions. You will have a subsequent opportunity to oppose this action in court and have your car returned. If your car is seized, they may search it. If you’re suspected of drunk driving (DWI), you will be asked to take a breath-alcohol and coordination test. If you fail the tests or if you refuse to take them, you will be arrested. Additionally, your driver’s license may be suspended and your car may be taken away. For the officer’s safety, you may be subjected to a “pat-down” or frisk. Do not resist or argue. If you are arrested, you and your car will be subject to a search. Do not resist in any way. If, at any time, you are unsure whether person making the stop is, in fact, an officer, you may ask for identification or for a uniformed supervisor. If an officer has already written a summons, it cannot be voided at that time. If you believe you have been unfairly treated, do not start an argument on the side of the road. Your best alternative is to share your concerns with a police supervisor or with a judge. The citation will show violation as well as the date and location of your court appearance. In most states, an officer will require your signature on the citation. Your signature is not an admission of guilt. It only means that you received the citation. 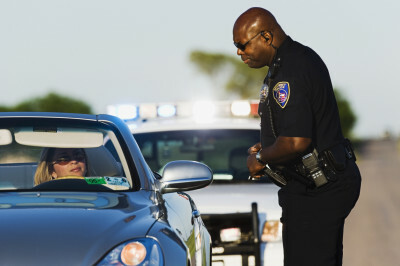 Any refusal to sign the citation could result in your arrest and being taken to the police. You will always have the chance to argue any summons, as well as present witnesses and evidence in court. 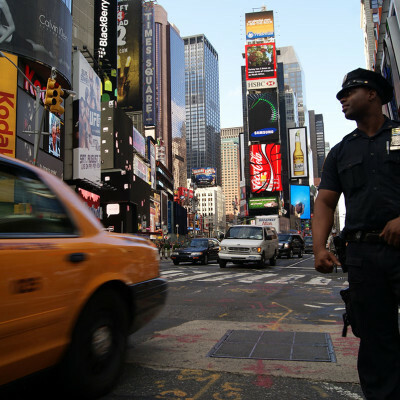 Increasingly, traffic stops are recorded by the police, road-side cameras and bystanders. Behave accordingly. If you (or your passengers) wish to record the stop, let the officer know of your request. Explain that you recognize that the police may have their own cameras, but would like to do this to protect everyone. If recording, do so from a respectful distance, without interfering with the officer or making any additional comments. Speak and behave in a polite way. If the police object to your recording, comply with this instruction; you can subsequently contest the issue. Remember officers’ names, badge numbers, patrol car numbers, and physical descriptions. Preserve all evidence. Get safely past this moment. You will have a chance in court to contest any summons, arrest or search. This time, with the benefit of witnesses, evidence and a lawyer.